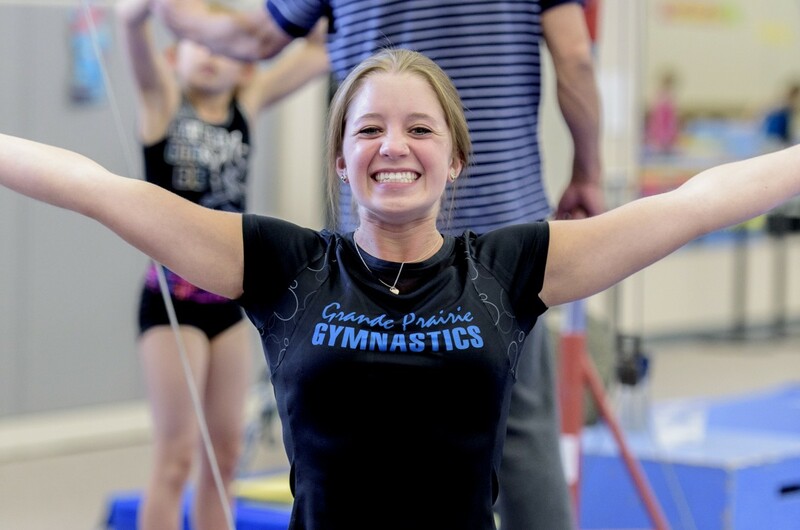 Adult gymnastics classes are held on Tuesdays and Thursdays 7-8pm. Anyone attending drop in that is age 16 or 17 must have their parent’s sign a waiver form before entering the gym. Space is limited so please call ahead to book a spot (the office will take reservations beginning at 9am each morning of adult class). Please note that all participants in any program are required to pay the annual registration fee, or $5 for a drop in class. Competitive athletes may have a higher fee. For more details, please visit the Registration page.